Dunfee Missionary Church is a family oriented evangelical church. It is our desire to encourage people in their spiritual lives. We believe that God has spoken to us through the Holy Scriptures. All of our ministries are designed to introduce people to Jesus and help them grow in the grace and knowledge of our Lord Jesus Christ. The purpose of Dunfee Missionary Church is to glorify God by leading people to salvation in Christ alone; Worshiping God; Instructing seekers in the Word of God; Serving others; and Evangelizing our world. Our motto is “Making Disciples Who Make Disciples”. Our desire is to lead people to Christ for their salvation and then to help each Christian to grow and mature in Christ where they will in turn lead others to Christ. 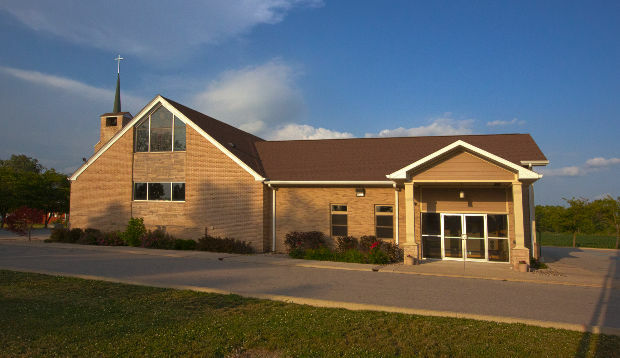 Dunfee Missionary Church is handicap accessible with an elevator to all levels and handicap facilities.